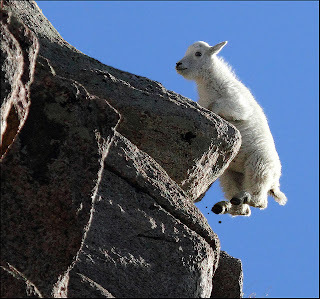 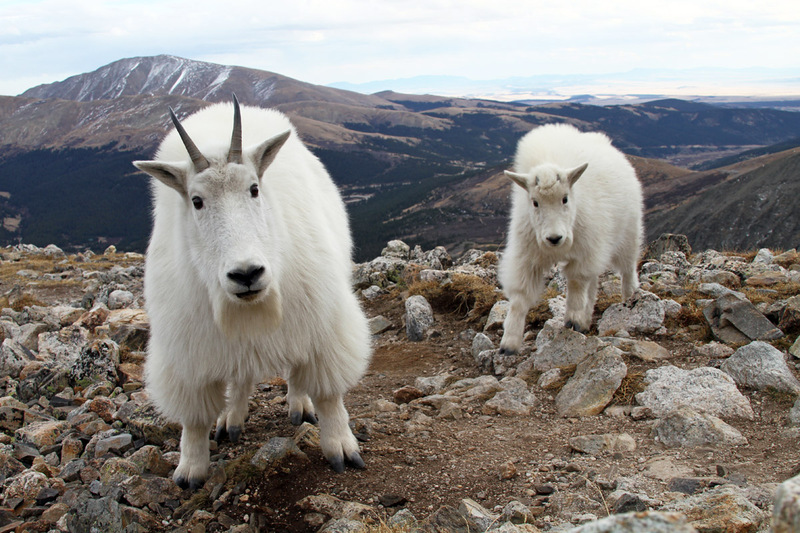 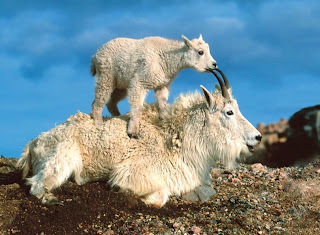 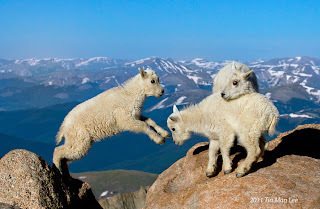 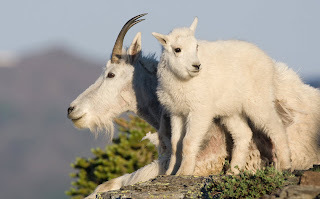 Mountain Goats can be found in the mountains of northwestern regions of North America, where they seem to cling and move around on the impossibly steep slopes. 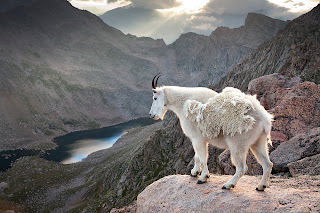 Mountain Goats have two beige colored horns that curl back and reach a length of about twelve inches. 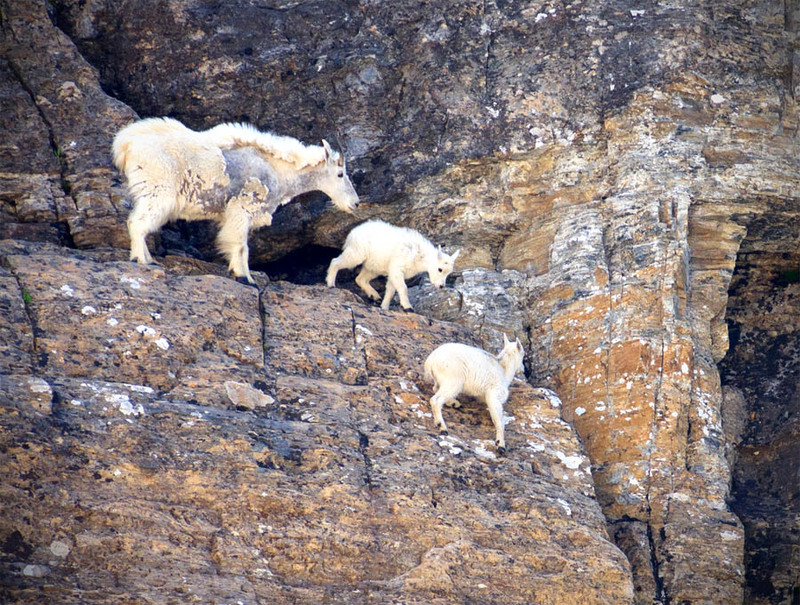 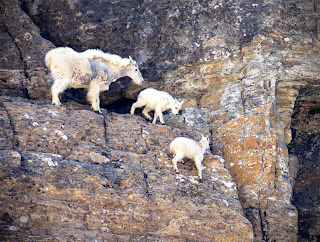 Mountain Goats weigh about 100 to 200 pounds. 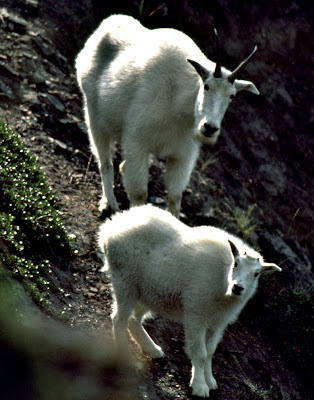 They are 4.5 feet long and their shoulder height is about 36 to 48 inches. 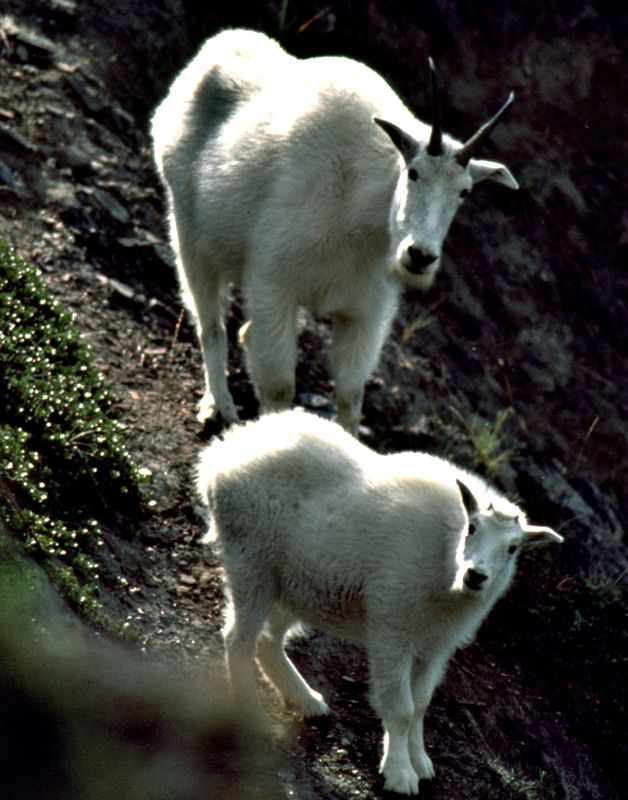 The females are smaller than the males by almost 30%. They have very round bodies which protect them from the cold.